The plastic-causing-cancer myth has taken on legs and has many different versions. Some people claim that freezing plastic water bottles or using plastic wrap in the microwave can cause cancer. As of yet, these concerns are unfounded in science and there has been no mention or links to colon cancer, specifically. However, the United States Food and Drug Administration does encourage using the only microwave approved plastic containers for cooking. 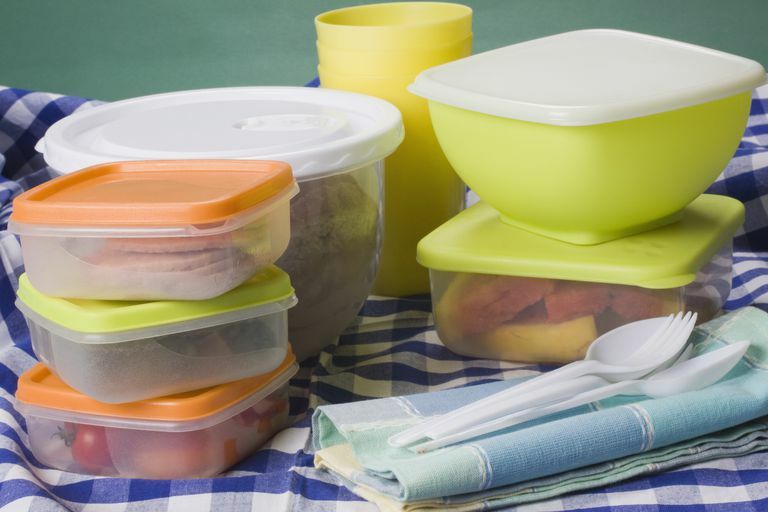 Many store-bought single meal plastic containers are approved for one use only. Furthermore, if you are using a leftover margarine tub or another non-approved container to reheat foods in the microwave, it's probably not the safest idea. Many of these containers were never intended to be heated and although they probably won't leak dioxin, they can leak plasticizers or other chemicals into your food. It is marked for single use. The potential health risk of reusing it is not worth saving a few dollars. If you cannot find a clear stamp stating that the container is microwave safe. The FDA regulates this practice and all safe containers must be clearly labeled. If your dish is obviously stained (this frequently happens when you use them to reheat tomato sauce or products—the fats and acids in the sauce may alter the integrity of the container). Cracked or obviously warped or damaged plastic ware. Furthermore, if you're cooking in plastic, be sure to always vent or open a side of the lid to release steam and fumes. If your takeout dish doesn't specifically state that it is microwave safe, it's probably safest to place the food in an approved container before reheating it. Again, the FDA has stepped in here and most restaurateurs carry only FDA approved to take out dishes, but styrofoam containers ​might melt in the microwave. Glass does not contain any plastic or associated chemicals, such as Bisphenol A (BPA). BPA is an epoxy resin used in plastics and to coat soda cans. Some fear that BPA may be linked to brain, prostate and behavior problems in fetuses, infants young children. The FDA is still examining the safety of BPA. In the meantime, it's probably a good idea to buy BPA-free products and avoid microwaving plastic that's not BPA free. If you're unsure or still concerned about microwaving food in plastic, then just use glass dishes. This is recommended as a better practice when reheating fatty foods. However, be careful, those dishes get mighty hot! American Cancer Society. (n.d.). Microwaving Plastic. American Cancer Society. (n.d.). Known and Probable Human Carcinogens. The Harvard Medical School Family Health Guide. (n.d.). Microwaving Food in Plastic: Dangerous or Not? The Wall Street Journal. (April 2013). Is It Safe to Heat Food in Plastic? Is It Safe to Exercise With Cancer?